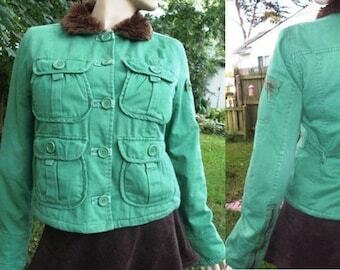 Handsome, masculine color scheme on this mens vintage jacket by Woolrich. 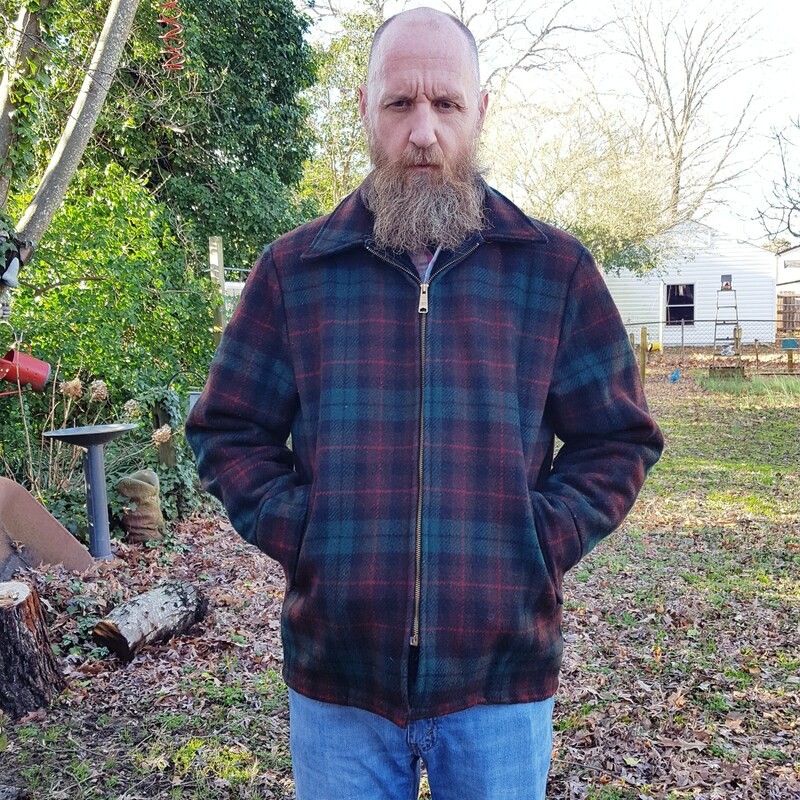 Colors on this ranch coat are forest green, red, brown and black. 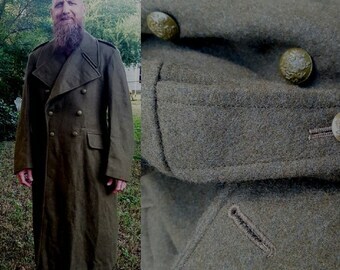 Vintage coat has a black pile liner. Quilted liner in sleeves.